The recent arrival of winter in the Presidential Range has me thinking cold-weather adventure. 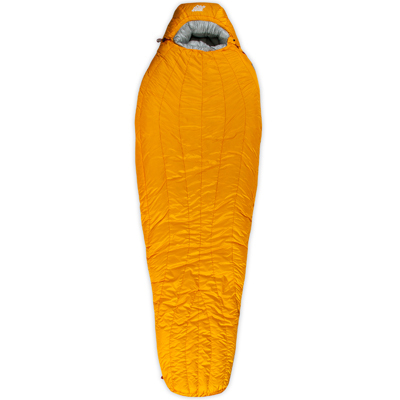 And when it comes to sleeping in the winter backcountry, few things are as important for overall trip enjoyment as a sufficiently warm sleeping bag. If you’re looking for a go-anywhere, anytime option, here are three of the best deals on bags rated to minus-10 degrees or below. 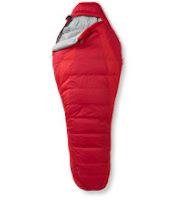 First though, realize that there are no cheap winter sleeping bags. High-end ultralight bags can easily run you in excess of $600. The options below were the most inexpensive I could find. Second, I strongly recommend purchasing a down bag. The weight savings over a synthetic winter bag are significant (often a pound or more) and a winter down bag packs radically smaller than its synthetic brethren. Plus down easily retains its loft and warmth for years, if not decades, when properly cared for. Here are the options. Note that all specs and prices are for the regular-length versions, which fit campers up to 6 feet tall. Long versions (up to 6′ 6″) include a few extra ounces of down and a few more ounces of overall weight; they typically cost an extra $20 to $30. This bag features a water-resistant/breathable shell, which helps keep snow and moisture away from the down inside. It also has an unusual double-zipper design, which allows you to make the interior of the bag narrower (warmer, but more snug) or wider (more room for tossing and turning). 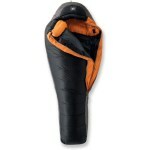 The bag offers 61 inches of shoulder girth at its widest setting and includes 36 ounces of down, with 800-fill on top and 700-fill underneath. Total weight: 3 pounds, 10 ounces. $499. Light up your winter tent with this day-glo yellow bag. The regular length bag features 38 ounces of 800-fill down in a series of vertical baffles that run the length of the bag, which helps prevent cold spots, especially across the chest. 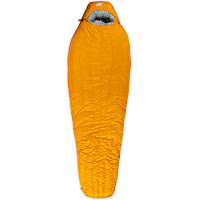 It has a relatively narrow 60-inch shoulder girth, however, which can be a tight fit for broader individuals or those wearing a lot of layers at night. Total weight: 4 pounds, 8 ounces. Retails for $489, but is currently on sale for $369. The best value of the down options, this bag is apparently only available in a long version. It features 750-fill down throughout and a flared design that would seem to offer additional room across the torso. 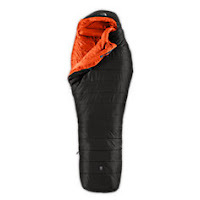 The product page is lacking some important specs (including ounces of insulation and shoulder girth), however, so it’s difficult to make a direct comparison with other bags. Total weight: 4 pounds, 1 ounce. $429, though currently on sale for $379. If you can’t stomach the price of a down bag, you may want to consider this synthetic fill option. It costs a bit less, but you pay for it with extra weight (5 pounds, 3 ounces), a huge stuffed size (nearly 1′ x 2′), and the fact that synthetic-insulation bags lose some of their loft and warmth after a season or three of use. $309.